Online chapters of the PRCA Media Guide are available. Please click here. The 2019 PRCA Contract Personnel Special Events application program is now available and accessible 24 hours a day. No other forms of application will be considered for any special events or year-end award nominations. No paper applications will be sent to members. To access the program please log on to your account on prorodeo.org to find the process under the Contract Personnel Special Event Application. If you chose to apply for more than one position/category, an application must be completed for each position/category. Once you have completed the process successfully you will receive a confirmation email for each application you have submitted. Keep this for the duration of the year. It is the member’s individual responsibility to assure their application is submitted correctly and within the timeline. The system will not accept any applications after 5:00PM (Mountain Time) on May 1st, 2019. If you have any questions regarding an application, nomination, or the process to do so, please contact Rodeo Administration at 719.548.4870. New brand materials are available including the new PRCA Brand Guide, logo versions, and a new video for committees to download. Click here to view new materials. You can find the latest version of the PSN and Business Journal at http://www.prorodeo.com/PSN. The stand-alone Business Journal can be found here PRCA-Business-Journal.pdf. As we shift our focus to expand our digital presence, we will bring ProRodeo Sports News to your digital fingertips to keep you updated 24/7 on the latest rodeo news, and we’re going to take advantage of that. The PSN will be online in flip-book format for your mobile phone, tablet and computer every two weeks to keep you updated on the latest rodeos, events and stories. And because the digital version will be online, we will continually update issues to keep you apprised of any rodeo changes. The printed edition of the PSN will be published once a month and will be a combination of the digital magazines. It will continue to list upcoming rodeos, highlight and feature cowboys and livestock, and will continue to deliver the best rodeo coverage in the industry. 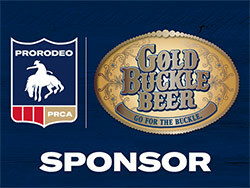 Download the Free PRCA ProRodeo app that gives you the latest ProRodeo news and event information and an WNFR section that will keep you up-to-date throughout this year's event. This app delivers news, photos, results, standings, schedules and access to the PRCA's social medial outlets. It is the best of the PRCA in the palm of your hand! Available NOW at either Google Play or Apple's App store!